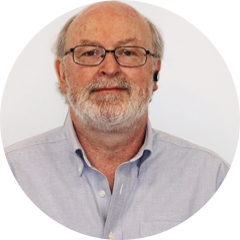 Jeryl Lederman brings over 28 years of software development expertise to CheckAlt, and he oversees the company’s infrastructure as CTO. Mr. Lederman was Co-Founder and Executive Vice President for Capital Market Decisions in Stamford, CT and Vice President for Smith Barney, Harris Upham & Co., in New York, NY. Capital Market Decisions was funded by Reuters to develop a desktop analytical trading system in 1990, and he was responsible for the technical development and nationwide roll-out. Mr. Lederman has an M.S. in Mechanical Engineering from the University of Illinois and a B.A. in Math-Physics from Colgate University. Jeryl has been with CheckAlt since 2003 as both a manager and developer of multiple Check 21 projects relevant to financial institutions and their clients.